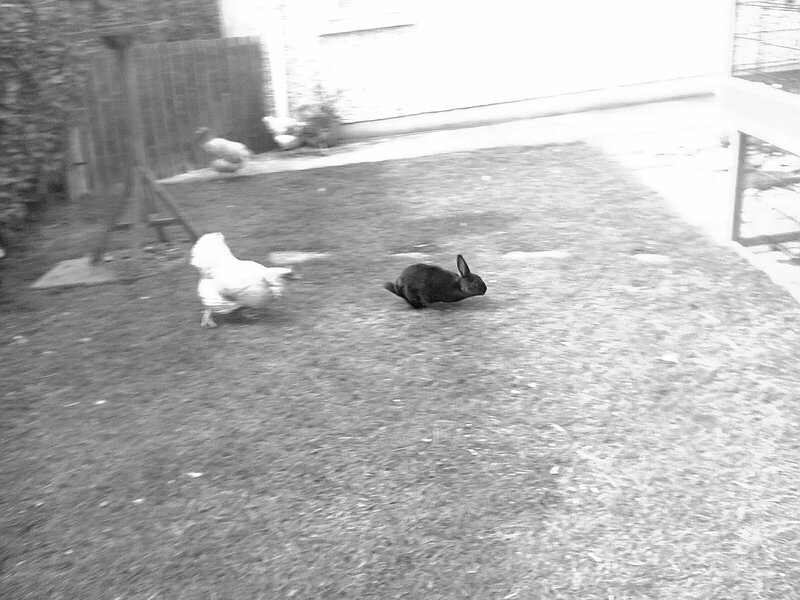 Here are my dead cute & hilarious rabbits getting their exercise around the garden ! 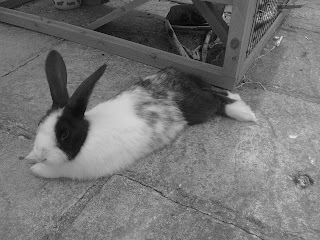 Yes, I know what you are thinking - Why's the black & white one lying down then ? That's not exercise ! Nope that is Plum fairly exhausted after having a mad moment & she is relaxing outside their house. 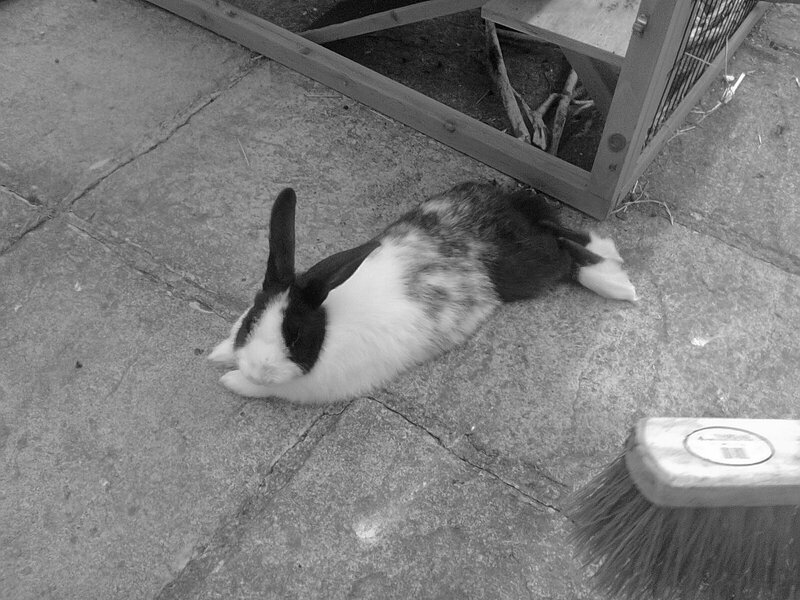 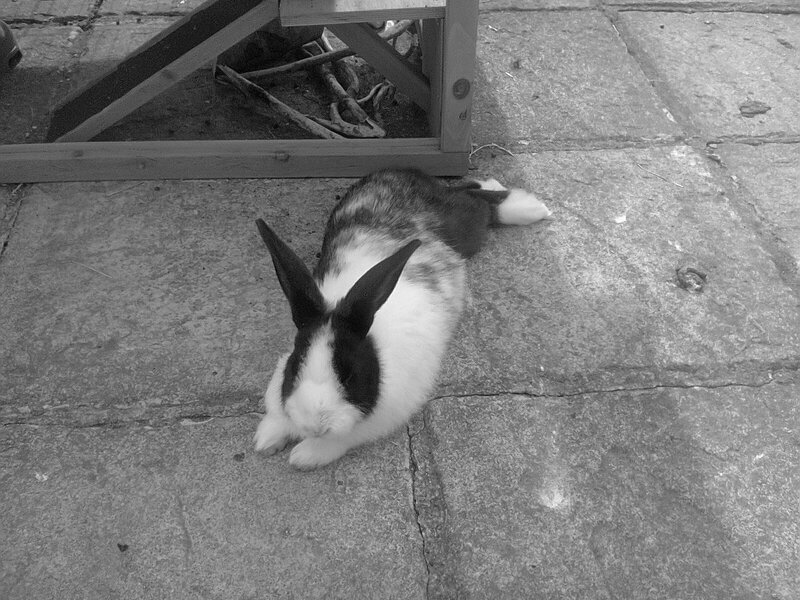 There was actually a sweeping brush around which she usually would've ran away from, but she was soo relaxed that she even did a 'flop' which is when a rabbit rolls on their back, It means they're happy. 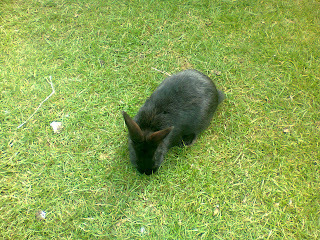 Midnight was also happy, because she was running around playing chase with Plum. And then she annoyed Willow the chicken by trying to play with her.